As an artist you’ve probably experienced the frustration of warped canvases. Not only does a warped piece of artwork create production problems for you, but it also forces the gallery owner or art collector to question your competence as an artist—and, maybe, to reconsider future purchases from you or your gallery. Lay your painting face side down. Spray all wood with water. Weigh down the corners with random heavy objects. Leave overnight or for however much time you see fit. Hang up on the wall and be ecstatic that your $80 canvas is like new! Of course, this is only a temporary fix. Just as the wooden stretchers absorbed the water and changed shaped due to the weights on the corners, it will once again warp on the collector’s wall if environmental conditions affect it. And then what? 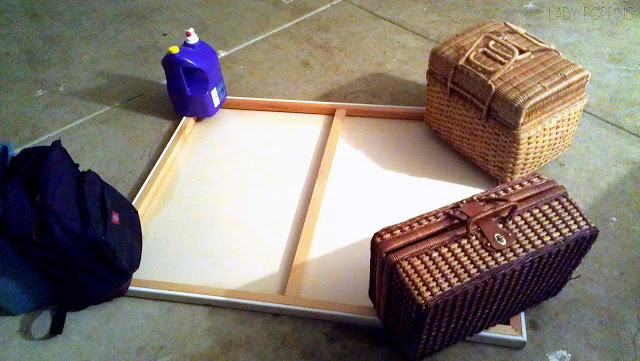 Why be bothered with having to fix your warped canvases stretched over wooden frames? Our “No Wood. No Warp. No Worries!” promise with DrumTyght’s extruded aluminum stretcher bars is far easier to work with and less costly than any stretcher bar on the market today. Enhanced reputation: Drumtyght’s™ extruded aluminum material and design allows the artist to enhance their own professional credentials by using the most up-to-date and highest quality material for the foundation of their artwork. Positioning statement: Enables the professional artist to differentiate themselves from recreational artists and hobbyists who are painting on wooden stretcher bars. Firmer painting surface: Canvas can be stretched tighter with more tension than on wooden stretchers. Reuseable: Canvas can be removed and restretched in the exact same position without any loss of image or canvas. Tacks and staples are not used to attach the canvas to the stretcher bar thus eliminating holes or tears in the canvas. Storage: Takes up less storage space since frame can be broken down, with no damage to canvas which can be stored flat or rolled. Cheaper to ship: DrumTyght’s™ extruded aluminum is hollow and lighter than wood with braces. It can be disassembled for shipping and easily reassembled at the destination. Lighter weight: Makes it easier to handle large formats, no bracing required. Simplifies the process of making your own canvas: DrumTyght™ stretcher bars and canvas can be assembled in minutes using only a phillips head screwdriver and a kitchen spatula. Drumtyght™ stretcher bars are a superior quality painting foundation that matches the quality of the artist’s artwork and will never warp. In summary, whether you paint like Michelangelo or Picasso, you need to paint on the “latest and greatest” foundation to enhance your reputation as a professional painter. Make it the best foundation—DrumTyght™ extruded aluminum stretcher bars—and never worry about warped canvases again. Available in late fall 2015. To learn more about DrumTyght ProCanvas Supports and when they will become available for purchase, please follow 2D Blogazine. To follow, click the yellow box on the upper, right hand corner of this page. Posted in Drumtyght Stretcher Bars and tagged Design, Stephen Hall, stretcher bars. Bookmark the permalink. Any indication of when this product might be available or possible images or prototypes for reference? DrumTyght is developing an e-commerce website now which will have photos of the new stretcher bar and videos on how easy it is to put together and disassemble. When these are available I will post them on 2D. We’re projecting a late fall launch for this year.